Andrew Powers, a native of North Carolina, has over 17 years of local government experience in cities on the East and West Coast. He currently serves as Interim City Manager for the City of Thousand Oaks, CA where he’s worked for the past nine years including stints as Assistant City Manager and Chief of Staff / Public Information Officer, where he is credited with building the organization’s first full service Communications Division. As Interim City Manager, Andrew is responsible for overseeing municipal operations servicing 130,000 residents with over 500 employees and an annual budget in excess of $150 million. Prior to his work in Thousand Oaks, he managed media relations, web development, and community partnerships for the City of Ventura, CA Civic Engagement Division and oversaw marketing, corporate relations, and program development for the City of Raleigh, NC Parks & Recreation Department. 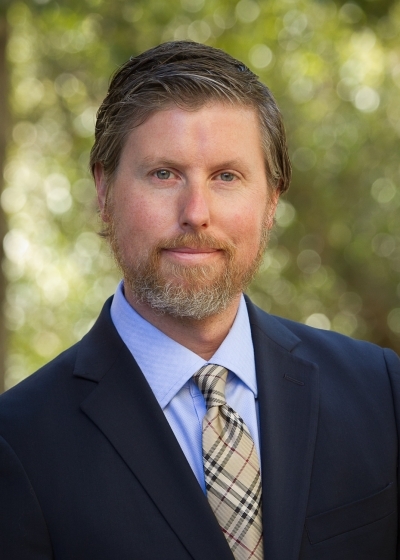 Andrew holds a BS degree from North Carolina State University and a Master’s in Public Policy and Administration from California Lutheran University. On a personal note, he resides in Ventura, CA with his wife Ashley where spend much of their free time surfing and exploring the globe.